From the team behind the Discovery Channel's Storm Chasers comes the latest IMAX epic, Tornado Alley 3D which follows a group of dedicated scientists as filmmaker Sean Casey attempts to film the inside of a Tornado. 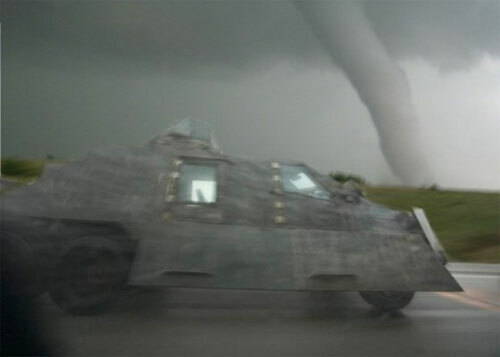 The main protagonist of the documentary is Sean Casey, a filmmaker who has spent the last 8-years of his life building a vehicle that could withstand a tornado and armed with an IMAX camera, he chases these deadly twisters in one of America's most dangerous areas. The area in question has been dubbed Tornado Alley in Central America which is a collection of states where these weather phenomena originate from. This is Tornado Alley! Casey's goal is to witness the birth of a Tornado which as we are informed is not the easiest thing to achieve, especially when the chase begins. The vehicle that Casey created is something not akin to the Batmobile which raises quite a few eyebrows of the people it passes. 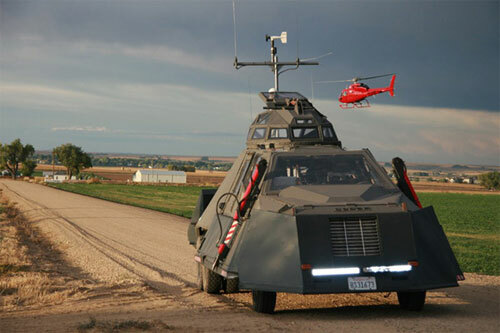 This vehicle also has bullet proof glass and has an automatic guard which covers the underneath of the vehicle and also four spikes that dig into the ground to ensure that it will not get blown away by the Tornado. It's actually quite fascinating to see in action. Apart from Casey, the documentary also follows the researchers of VORTEX 2, a group of scientists who are funded by the National Science Foundation (NSF) and the National Oceanic and Atmospheric Administration (NOAA) in order to help further understand tornados and more importantly, save lives. 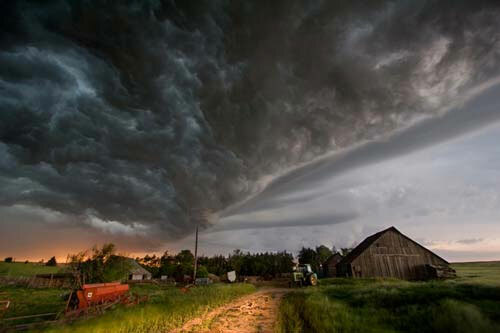 The documentary is narrated by Bill Paxton as he swaps between Casey's goal and those scientists of VORTEX 2 as they attempt to position their equipment around the tornado in order to fulfil their statistical requirements. As tornado's are a force of nature and it's impossible to determine exactly where they will form, much of this documentary is spent waiting for these tornados to appear and of course the chase. There are a variety of easy to understand facts that are littered through this documentary and also some disturbing footage about the aftermath of the tornados which is why the VORTEX 2 and Casey are attempting to gain this data, to save lives. Unfortunately the lead-up to the actual footage of inside the tornado is quite lacklustre and just like a bad situation in the bedroom, it's over. Don't get me wrong, there is some spectacular footage of tornados in this documentary and at times, it feels like you are near these dangerous storms but the focus of being actually inside this weather phenomenon is unfortunately lost as not much can be seen. There are some amazing moments in the film but compared to other IMAX films, something feels missing which is a shame. 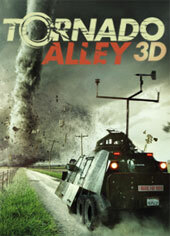 I admire Casey for his achievement but all in all, Tornado Alley 3D seems more dust devil than tornado.